The Mini Kelvin LED table lamp designed by Antonio Citterio with Toan Nguyen marks a step forward in green technology for lighting. With an adjustable head and double pantograph arm, this table lamp has an electronic switch with optical mechanism located in the head. 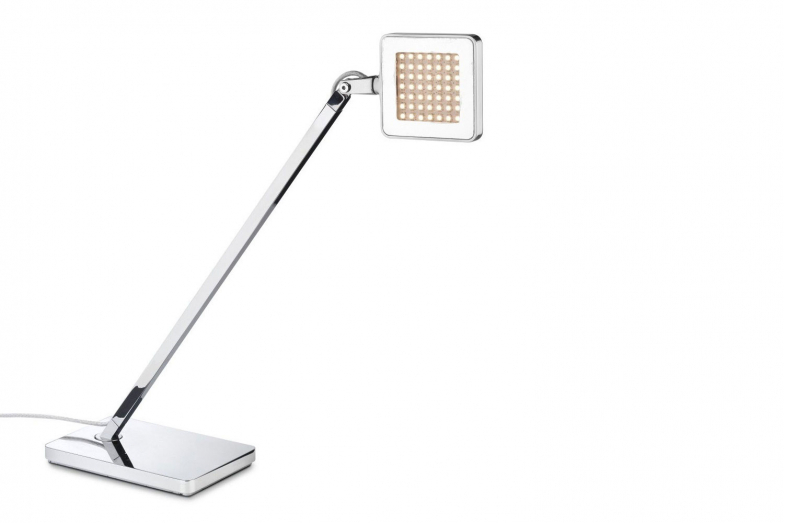 The light output of this energy-efficient lamp can also be adjusted via a touch sensor switch. Also available in a version with larger dimensions.